It’s time to find your dream escape destination. Away from the fluorescent lights above your cubicle and the overrated touristy hot spots. No more typical vacations spent on a congested beach teeming with sunburnt tourists. Goodbye vacations and say hello to the getaway. Getaways are for those who need a chance to escape their everyday life, immerse themselves in the culture and lifestyle of the locals, and truly unwind somewhere that resembles their ‘happy place’. If a getaway is what you’re searching for, then welcome to the British Virgin Islands. Over 50 islands and uninhabited cays from the premier destination of the British Virgin Islands. The islands are located in close proximity to one another, which conveniently allow island hopping via day sails, water taxis, private charters, and ferry boats. The four main islands: Tortola, Jost Van Dyke, Anegada, and Virgin Gorda each offer their own unique experiences and personalities. One day you’re snorkeling the vibrant coral reefs in Anegada and the next you’re hiking 1,716 feet up Sage Mountain overlooking Tortola. The adventures are endless and there is an activity for everyone. 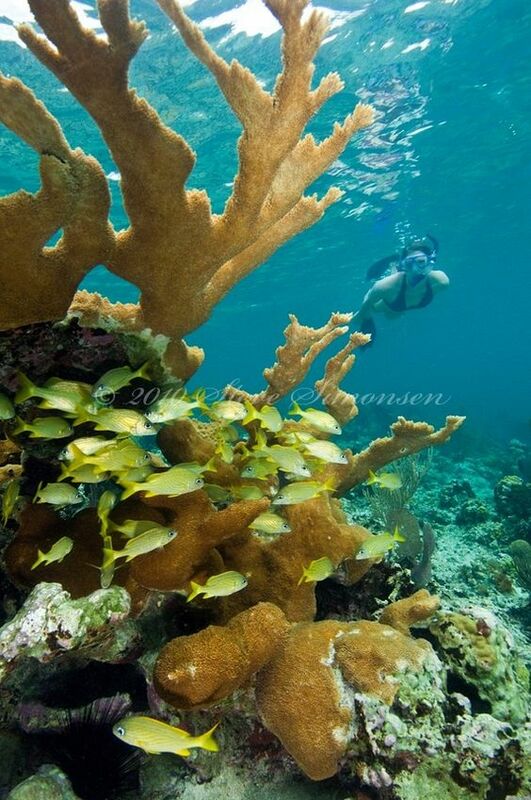 Snorkel or dive countless shipwrecks and reefs throughout the Sir Francis Drake Channel. One of the most profound and notable sites around the world is located in those very waters. RMS Rhone sank and became an artificial reef that houses a dynamic array of marine life. Your toes will sink into the white sand as you walk the many shorelines. You’ll look out across the horizon and spot several luxurious sailboats gliding through the waves. The British Virgin Islands are known as one of the world’s greatest sailing destinations. Nestled between the Atlantic Ocean and the Caribbean Sea, the smooth waters and steady breezes provide the ideal conditions for sailing. Come April, captains, and crews from around the world will come to compete in the Spring Regatta, a sailing race throughout the islands. For those wanting to soak up the rays and relax in the calm, crystal clear waters, Devils Bay is where we’ll find you. 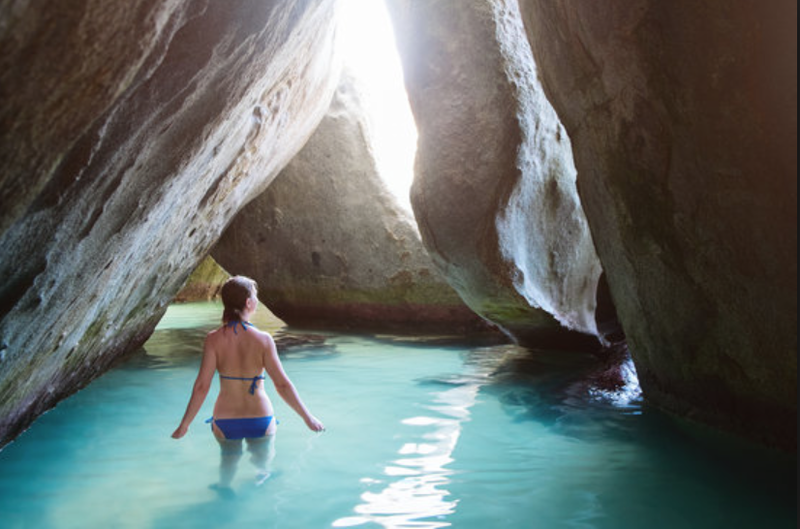 Located on Virgin Gorda, plan on staying a few hours so you have plenty of time to navigate around massive boulders and explore the numerous serene caves that make up The Baths. Don’t let the size of Jost Van Dyke fool you, it has the biggest party scene. The beachfront of White Bay is home to several beach bars, during the day this is a popular place for the yachties and boaters. Make sure you head over to Soggy Dollar bar, famously known for concocting the original Caribbean drink, the ‘Painkiller’ (a mixture of rum, coconut, juice, and nutmeg). Experience the culture and history while visiting the capital, Road Town, located on Tortola. Dance along to the beat of the banjo and a mixture of other instruments as locals play the native Fungi music. Then head on over to the Callwood’s Rum Distillery and grab one (or two) bottles of rum from a distillery that has been operating for over 200 years. The islands are far in similarity, so it’s advised to visit each one to experience the different scenery, atmosphere, and cultures. When island hopping, you have several options: ferry boats, water taxis, and charter boats. If you want to explore some of the more remote landscapes and beaches the smaller islands have to offer, then Antilles Helicopter Services and luxury charter sailboats and yachts are the best way to go off the beaten path. Whether you want to relax in the sand the entire week, explore uninhabited cays, or somewhere in between, the British Virgin Islands allows you to have a getaway to your real life ‘happy place’.